When it comes to lunch, I don’t usually plan what to cook. I often scavenge the bits of leftovers in the fridge or pantry. 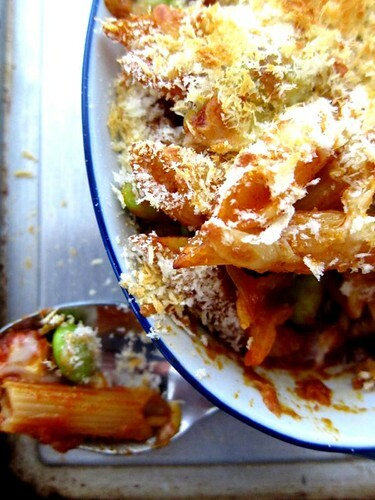 For this particular lunch, I made use of the remainder ingredients I had from some of my experimental dishes – ricotta, edamame beans, cheddar cheese and red sauce – I created a spectacular baked pasta. I cooked the pasta (penne), red sauce and edamame beans together. 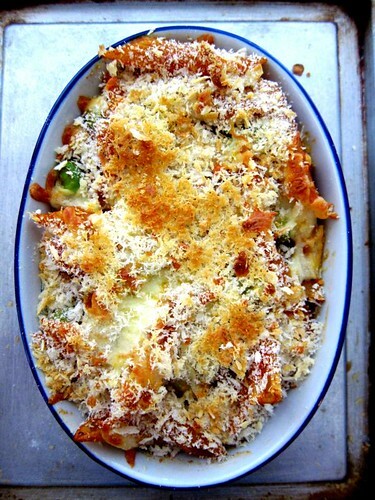 I layered a baking dish with some of the cooked pasta, sprinkled some cheddar cheese and ricotta. I poured in the rest of the pasta, and added another sprinkle of mozzarella cheese and panko (Japanese bread crumbs). Put the dish under a grill for 5-10 minutes and I got myself lunch. 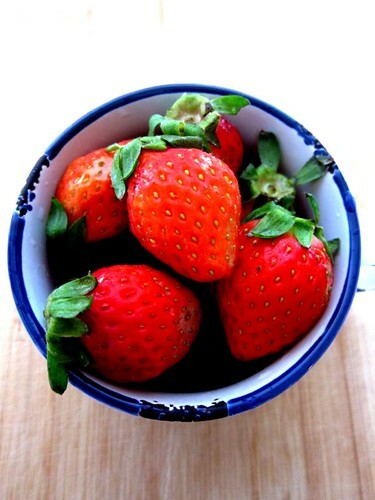 Not forgetting dessert – fresh strawberries.